If your friends send you loads of stupid pictures on WhatsApp, and you don’t want them mixed in with all your amazing photos, it is possible to keep WhatsApp images separate so they don’t appear in your camera roll. 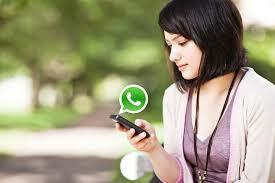 If you’re keen to keep your WhatsApp private, you can use any number of security apps to set a passcode for the app. AppLock is a popular choice. If you haven’t received the update that allows Google Drive backups yet, and you need to move your WhatsApp history over to a new device, it’s a pretty painless procedure. All you need is a microSD card and a few minutes to spare. You’ll need the WhatsApp Web Chrome extension to get WhatsApp desktop notifications. Then, all you need to do is install a simple add-on called WAToolkit. After installing it, you will see a new icon in your browser toolbar. Hover your cursor over it to see the most recently received message, or right click for more options. You’ll also notice the WAToolkit options button in your WhatsApp Web tab. The best part? WAToolkit will notify you of messages on your desktop even when Chrome itself isn’t running. Privacy on the internet is a hard thing to hold onto, but even the famously unprivate WhatsApp has a few features that let you do things on the down-low. Getting thrown into a big group chat filled with party guests and people you don’t know can be bewildering. Suddenly, your profile picture is staring back at a chatroom full of strangers, who can also see your status and when you’re reading messages. If I wanted a whole flock of strangers ogling and judging a photo of me, I’d have gone on Tinder. We’ve all been in that position where we’ve somehow been dragged into a group chat that we either didn’t really want to be in in the first place or just don’t want to receive notifications from every couple of minutes. Rather than just leave the chat, which may offend some people, you can simply mute the chat so you stop receiving notifications from it. Do you have certain friends with whom you have constant stream-of-consciousness conversations, where you’re non-stop WhatsApp’ing all day, every day? If so, then you can create a shortcut icon to those conversations, which will appear on your Android homescreen. This means you can jump straight into chats with your BFFs and important groups. In WhatsApp, tap the Chats tab. Tap and hold the conversation you want to create a shortcut for. A shortcut displaying your contact’s profile picture will now appear on your homescreen. Tap it to jump straight in and start chatting to them. If you want to know how to recover other deleted messages on your phone, hit the link. This simple little trick allows you to change the default wallpaper in WhatsApp. It’s purely an aesthetic feature, but it does make your conversations look a lot nicer. Tap WhatsApp, to download the WhatsApp wallpaper pack, or Documents, to view your own images.